Global community service can improve local conditions. It can also transform our own lives. Students who were involved in UNCG’s four-week Costa Rica Spanish Immersion Program during the summer of 2017 would likely agree with this statement. “The program started last year, and from the very beginning it was an incredible experience. This past summer was even more impactful,” says Dr. Amy Williamsen, Head of the Department of Languages, Literatures, and Cultures at UNCG. This year, twelve UNCG students, a group of women from many different backgrounds, participated in the program. 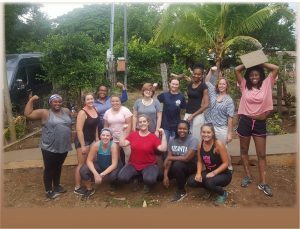 “As part of the four-week program, our UNCG students immersed themselves in the language and culture of Costa Rica, experienced three different ecosystems and participated in meaningful community-engaged service. 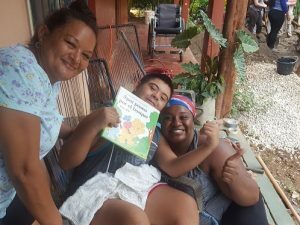 Along with intensive Spanish immersion classes, our students engaged in community service projects, including building a ramp to provide a young wheel-chair confined boy with Down’s Syndrome greater accessibility to his home and the outside world. 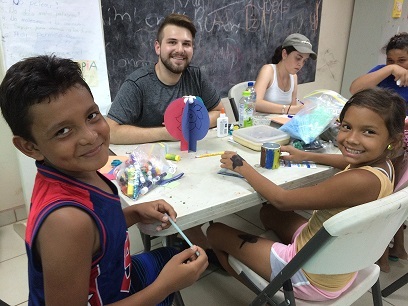 HELP US HELP OTHERS: **UNCG students are doing their part to make a positive and lasting local impact in Costa Rica. Please help fund a Girls’ Club by making a donation to CEPIA here. UNCG offers study abroad progr ams in several Spanish speaking countries. For information on UNCG programs abroad, click here or contact the International Programs Center (IPC) at studyabroad@uncg.edu. 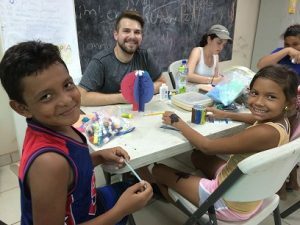 To learn more about the Costa Rica Spanish Immersion Program and hear UNCG students’ stories on the experience – watch the YouTube video here. Want to learn more about CEPIA’s Girls’ Clubs? Read this brochure.